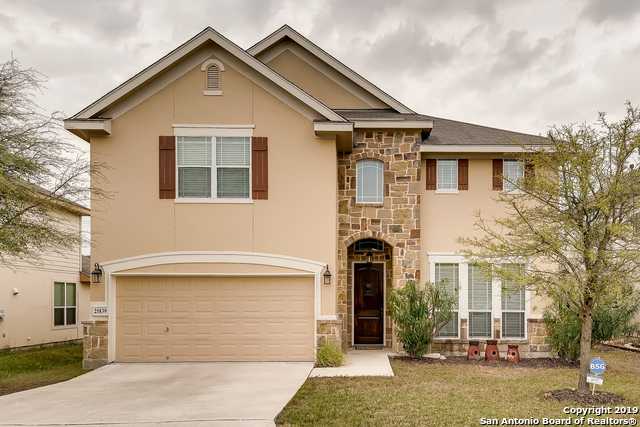 All Indian Springs homes currently listed for sale in San Antonio as of 04/22/2019 are shown below. You can change the search criteria at any time by pressing the 'Change Search' button below. 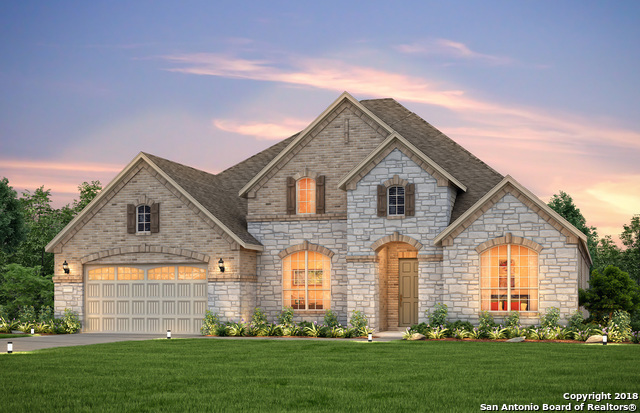 "The Empire is a gorgeous two-story plan located in the prestigious community of Indian Springs. On a 1/2 acre lot with 4-sided brick exterior and a three car garage, this home has everything you need. On the first floor, you will find an Owner's Suite with a private retreat, separate vanity's and a walk-in closet and a Mother-in-law suite. Upstairs you will find two bedrooms with Jack-n-Jill bathrooms and an oversized media room. 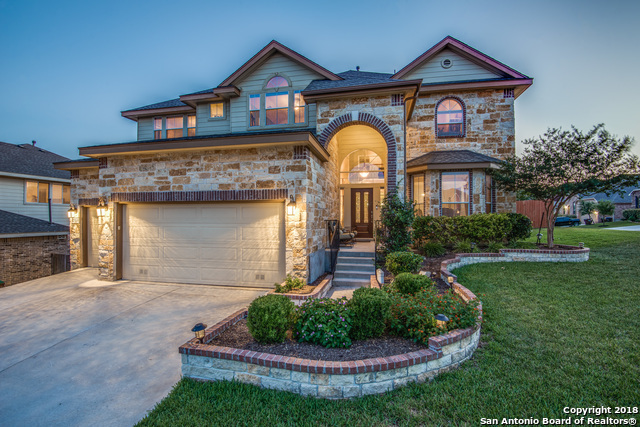 Kitchen features granite countertops and SS appliances with double"
"Come home to this stunning house nestled on a cul-de-sac in the prestigious Indian Springs Estates. Open floor plan boosts spacious living areas for entertaining. Water Softener, Plantation Shutters, Security System, Elfa Custom Shelving, Sprinkler System, Landscape Lighting, Granite Counters, Stainless Steel Appliances. Relax on your covered patio with bluff views....This Home is a Must See!" 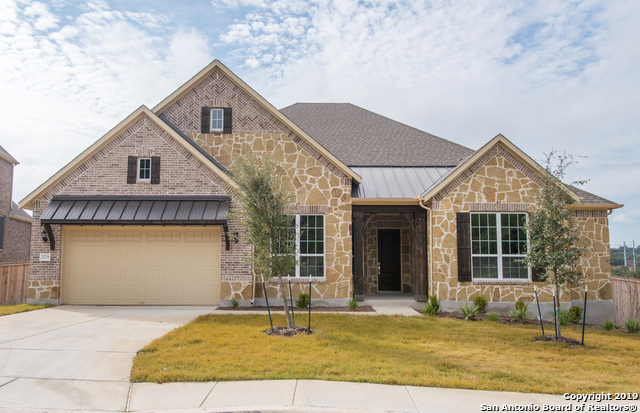 "The Camelot plan features an expansive 1 story layout with a 2.5 car tandem style garage. The master bedroom features a bay window and your own owner's retreat. The master closet is a must see and the upgraded shower features a rain shower head and frameless glass. The covered patio is the largest we build setting on a private lot overlooking scenic views. The home has two guest bedrooms on the opposite back corner from the master. Up front is a formal dining/diving area and a tiered home o"
"The Nobility is our largest single-story plan and this home is situated on a lot with private views. On the outside you will find an upgraded front facade with brick and stone. Inside you will find stainless steel appliances, a gas cooktop, upgraded granite countertops, bay windows at the Owner's Suite, and a mudset shower at the Owner's Bath. A media room and additional bedroom have also been added. This home contains the backbone of a Pulte Smart Home ." "Spectacular 3 Car Garage Home Nestled on Oversized Lot on Quiet Cul-De-Sac in the Preserve at Indian Springs Offers 4 Bedroom/3.5 Bath + Study, Game Room, & Media Room. Soaring Ceilings & Abundant Light! 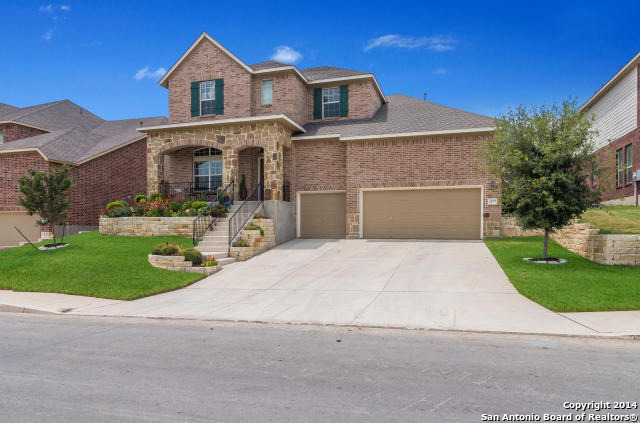 Stunning kitchen boasts granite, custom painted cabinets, 6 burner gas cooktop w/ Rock Hearth, large breakfast bar w/ seating opens to spacious family room.Master Suite w/ Granite! 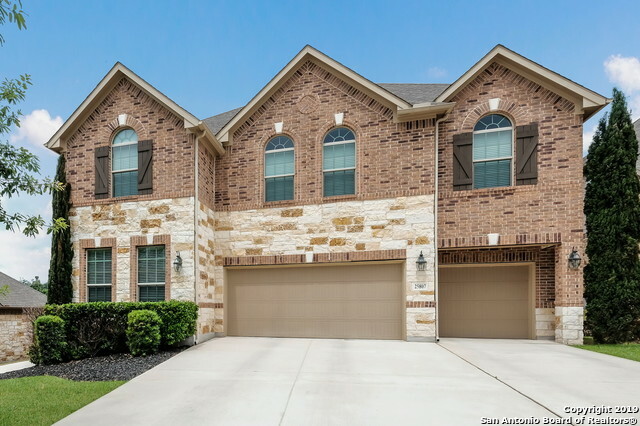 Gorgeous wrought iron staircase!Enjoy the outdoors on your covered patio.Comal ISD & Elem. in community!Pool/Park.N"
"Model Perfect 3 Car Garage + 4 Bedroom/3.5 Bath + Study & Media Home in the Preserve at Indian Springs.Gorgeous wood flooring greets you along with soaring ceilings & abundant light.State of the art kitchen boasts granite, gas cooking w/ Rock Hearth, large island w/ seating opens to spacious family room.Granite in all baths!Gorgeous wrought iron staircase!Enjoy the outdoors on your covered patio & stained concrete patio overlooking beautiful landscaping.Comal ISD & Elem. in community!Pool/Park.N"
"This Whitland plan features 5 bedrooms with 3 1/2 baths. The home is in the prestigious Heights at Indian Springs gated community. The home features 4 sided brick with an upgraded front facade that includes brick and stone as well as a front covered patio. The kitchen has SS double-ovens with gas cooktop, upgraded granite countertops, cabinets and backsplash. Upgraded wood look tile flooring throughout the majority of the first floor. Large covered Patio. Home includes the backbone for the "
"The Andorra plan is in the prestigious Heights at Indian Springs gated community and is situated on a lot with an oversized back yard. This home features 4 sided brick with an upgraded front facade that includes brick and stone. The kitchen is upgraded with stainless steel double ovens, gas cooktop and upgraded granite and pendant lights over the eat in island. The master bedroom features a bay window and upgraded spa shower. The first floor features extensive wood look tile flooring and co"
"Beautiful 5 bedroom, 3.5 bath home, on a corner lot is a must see. 3 car garage gives lots of storage space. The view off of the master balcony is gorgeous. You will appreciate this beauty when you step into your next home." "IMMACULATE DESIGNER PERFECT EXPEDITION! 3498 SF OF LUXURY LIVING IN BEAUTIFUL DAVID WEEKLEY GREEN HOME! 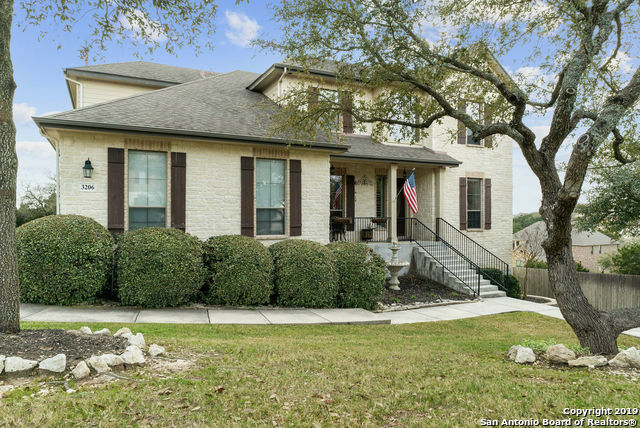 INDIAN SPRINGS IS A BEAUTIFUL COMMUNITY WITH A POOL AND PLAYGROUND, THIS HOME IS AN OPEN FLOOR PLAN W/GRANITE ISLAND KITCHEN OPEN TO THE FAMILY ROOM; FORMAL STUDY; DINING ROOM ON FIRST FLOOR. A LARGE BACK COVERED PORCH AND LANDSCAPED YARD UPSTAIRS GAMROOM WITH MEDIA ROOM SPACIOUS BEDROOMS AND MORE. LOVELY MASTER SUITE WITH OVERSIZED CLOSET DOUBLE SINKS GLASS TILE AND MORE. CERAMIC TILED FIRS"
"You must see this 5 bedroom beauty in Colony at Indian Springs!! Master bedroom is on the first floor!! Backs to greenbelt. Three car garage you will LOVE!! You must come see your new home!" "Better than new 2 Story, 4 Bedroom, 2 Car Garage, 2 1/2 bath, surround sound patio, living room, game room, & Media room. Formal Dining room w/ coffered ceiling. Study accented by french doors, kitchen's a chefs delight with Silestone counters, Massive kitchen island, 42 Cabinets, glass block back splash & large walk in closet. Fire place in living room. Upgraded lighting. Master suite features bay window. Master bath has separate shower & garden tub, twin vanities & large walk in closet. Sprink"
"Come and see this Remodeled ready to move-in property at the great Indian Springs! New flooring through out the entire house, including hardwood floor the in master bedroom, new carpet in the 2nd floor. Exotic granite countertop in kitchen, new carpet in the 2nd floor, new appliances, great living room area! You will fall in love with your new home."